O Gaon Chart é um ranking oficial coreano, ele é equivalente á Oricon no Japão e a Billboard nos E.U.A. 2. IU - "The Red Shoes"
3. SG Wannabe Kim Jin Ho (Immortal Song 2) - "As I Live"
4. 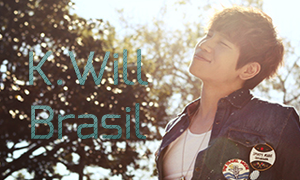 K.Will - "You Don't Know Love"
5. T-ara - "Number 9"
6. Jaurim - "Goodbye, Grief"
7. Jung Joon Young - "The Sense Of An Ending"
8. Lim Chang Jung - "A Guy Like Me"
9. Busker Busker - "First Love"